The biggest and most anticipated sporting event of the year 2018 is finally here. First held in 1930 with only thirteen teams, invited by the organisation, the FIFA World Cup has gradually grown into a mind blowing event. This year’s tourney, with 32 teams hosted by Russia, promises to be an exciting ride. Sadly, no thanks to ‘life’ and ‘work’, many people find themselves unable to keep up. 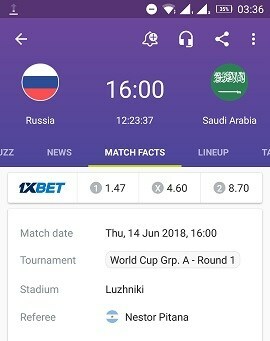 In order not to miss out on any of the magical moments during this season, here is a list of apps which you can use to follow the 2018 FIFA World Cup in Russia. FIFA has released the 2018 FIFA World Cup official app for viewers all over the world. With this app, you can follow your favourite teams and receive real-time updates on stats and goals, among others. You will also be able to re-live the key moments of every match with video highlights and exclusive match summaries, which will be available just a few minutes after each game. This app will, no doubt, be one of the most accurate. SuperSport by MultiChoice has an application for mobile phones which provides sports content; the 2018 FIFA World Cup is no exception. 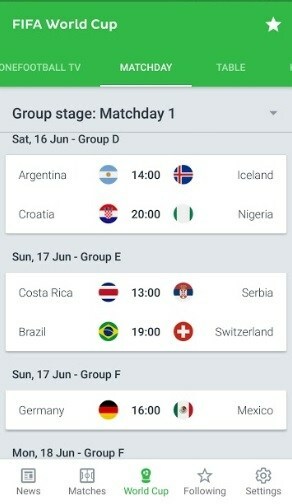 The app can serve you relevant updates, including latest news, fixtures, standings, results and video highlights of World Cup matches. Even better, if you are a DStv Premium, Compact and Compact Plus subscriber, you can also live-stream full matches and highlights on the go, at no extra cost (requires you install an additional app —DStv Now). 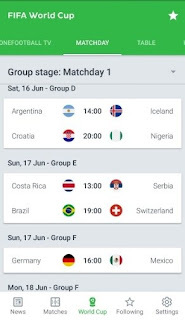 Google’s search app can provide timely FIFA World Cup content including fixtures, results and standings. 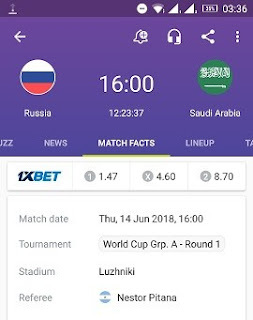 Once you search for any World Cup related content, the Google app is structured to continuously provide updates on scores, highlights and many more of the teams you are interested in on the default screen, even without you searching for them. However, you can also choose to get specific live updates about your favourite teams. Goal Live Scores is designed to serve you live match updates, in the order that they are to be played. There is an option to filter results by competition, matches or favourite teams. If you set your favourite teams on first launch, the app will push relevant match alerts — pre-match lineup, goals, red cards and so on to your notification centre. Although not designed originally as a sports app, Twitter is used by many to tweet live sporting events, especially during the season of World Cup. You may be lucky to find live match updates on your timeline, complete with diverse match commentary, humour and goal alerts once you follow football loving people! To enjoy more exclusive and immersive FIFA content, the official Twitter hashtag to follow is #WorldCup. OneFootball is a mobile app designed basically for football news and as a platform for communication too. It sources news from popular sporting sites, including video highlights from YouTube. You can click on fixtures to view match details like pre-match line-up, live commentary and you can set goal updates. The push notifications are free but only for two matches at a time. There is also a fan zone where you can discuss your favourite teams with others. With FotMob, you get to choose your favourite local teams, popular teams and review your favourite teams and set alerts for goals, start and full-time results, red cards, missed penalties and so much more. There’s a specific section for all the World Cup fixtures, logs and competition stats. When you click on a match, you are shown relevant match facts like head-to-head history. With all these apps that you get to download free, you don’t have to lose out of this season. You could join your team during this amazing ride, without being present in Russia and you can bring your comfort zone to work.